Depend Silhouette Active Fit Incontinence Briefs are designed for your life. Feel confident knowing each pair features a thin design and moderate absorbency for protection throughout your day. These incontinence underwear for women are yoga pants approved with a premium design that is smooth, sleek and has a better feel than previous Depend Silhouette Active Fit underwear. The soft fabric in this disposable underwear features flex grooves for stretch and breathability. A feminine brief in a modern rise, this underwear is designed with premium cotton-like fabric for discretion while you bend and move. Depend Active Fit incontinence products are available in an exclusive range of colors, including black, beige and purple to stylishly complement your wardrobe. Silhouette Active Fit Briefs are nothing like adult diapers, and are latex-free, lotion-free and fragrance-free. 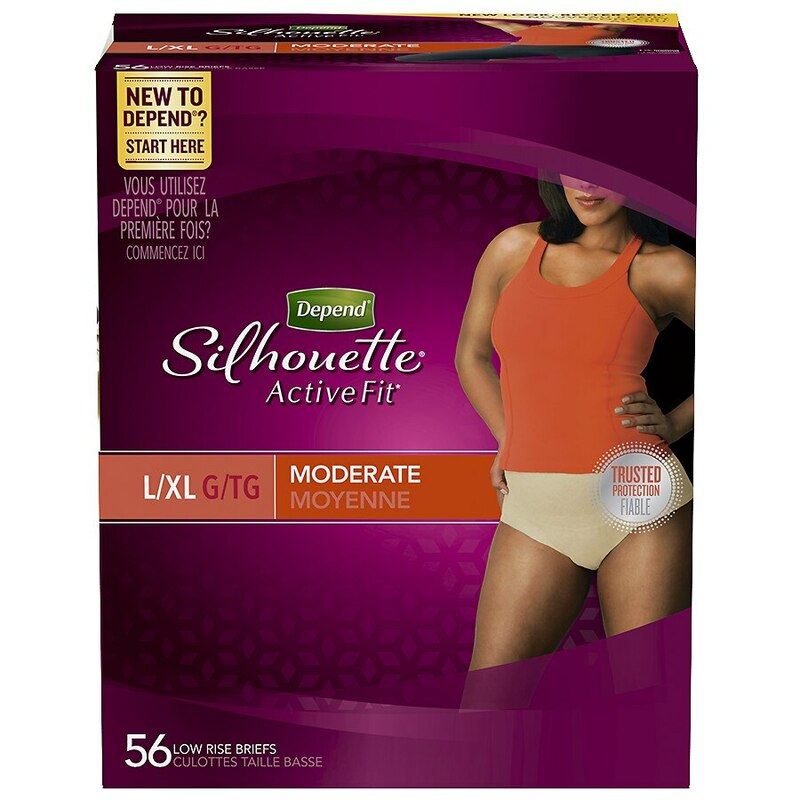 This package contains beige Depend Silhouette Active Fit Briefs in size large/extra-large, which fits a 38–50-inch waist. Explore this page for additional product benefits.